I instantly became smitten when I opened an email from Dace. 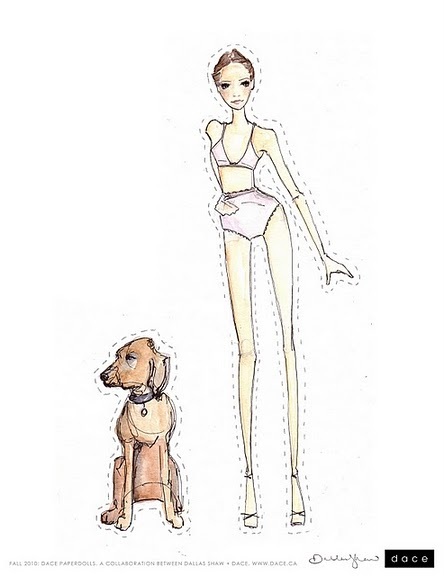 It seems the brilliant artist Dallas Shaw partnered with Dace to make a rather lovely paper doll with clothes to match. Each month they will release a new set of clothing till Dace's fall line is completely out. Oh, and did I happen to mention they are free to download and print? I printed out two sets one for Ellie to play with and one to frame. They are that gorgeous. Can't wait for the next one's to be released!